We all spend our entire adult lives essentially working towards retirement, but are we going to be ready when we finally get there? The key to lifetime wealth isn’t found in a strategy that can be implemented for overnight results. Rather, the key to lifetime wealth takes years — even decades — of saving practices. Our suggestion? Always keep retirement income planning at the forefront of your mind. At Income For Life, we have retirement planners who can help you find effective retirement solutions for retirement income planning in Atlanta, Georgia. 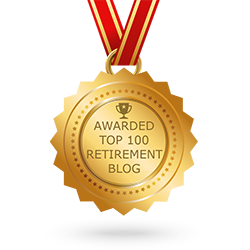 We go over several retirement strategies with our clients, ranging from annuities to mutual funds, to find something that best suits their lifestyle. Schedule an appointment with us today for your retirement income planning needs in Atlanta. 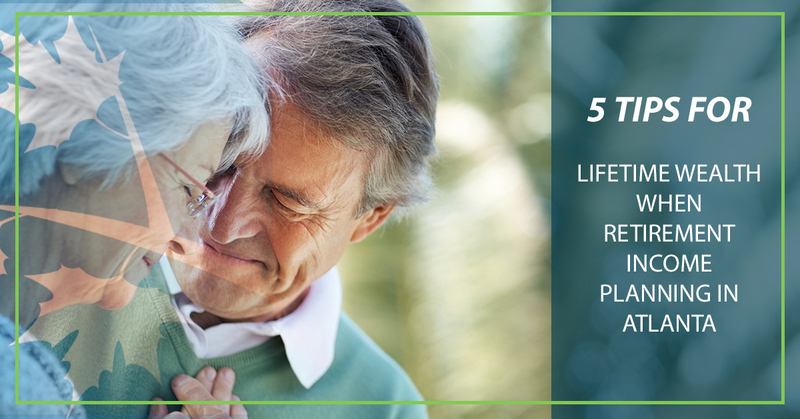 In this blog post, we’ll go over five tips for lifetime wealth in regards to retirement income planning that have been proven to be successful. 1. Distinguish between what you want and what you need. First and foremost, you need to separate your needs and wants when you are planning for your retirement income. For example, you want a brand new car, but you need a place to live. 2. Select an annuity for predictability. Annuities are a great option for individuals who want to add a sense of predictability to their retirement strategies. Annuities are an investment that provide you with a guaranteed monthly income after retirement. Learn more about annuities here. 3. Maximize any social security benefits. When it comes to social security, the longer you wait to retire, the more monthly retirement income you’ll get when you do finally decide to retire. We’re not saying you should work longer just for this sole purpose, but if you’re OK working past 62, you might want to consider doing so to reap the later benefits. 4. Think outside of the box. 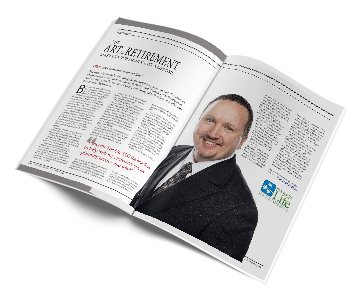 Sometimes, it can prove beneficial to think outside of the box for your retirement strategy. There are more retirement investment strategies than just stocks, bonds and annuities, such as investing in small businesses and real estate. 5. Hire a retirement planner. We might be a little biased, but there’s a reason there’s an industry for retirement income planning. Retirement planners are educated and trained to help individuals from a variety of backgrounds and financial situations with their retirement solutions. No matter how financially savvy you are (or aren’t), there’s always a benefit to hiring a professional in their field. You wouldn’t just hire anybody to work on your roof, would you? Utilize that same thinking when it comes to your retirement income planning. Don’t let retirement income planning become an afterthought in your life — be proactive and let Income For Life help you with your retirement income planning in Atlanta. We can help you find retirement solutions that will give you the peace of mind you deserve, as we have multiple tools available to us to find you diversified lines of investment opportunities. We know that when you choose to retire, you want to stay in retirement comfortably and never want to have to worry about going back to work or running out of retirement funds. For more information or to schedule an appointment with our expert retirement planner, call us today at (888) 228-8814 or fill out our online form.